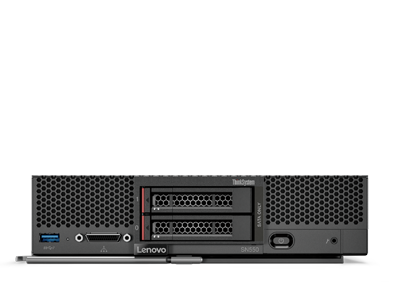 Kronsys evaluates the Lenovo® HCI solution; ThinkAgile VX with Intel® Optane™ SSDs. 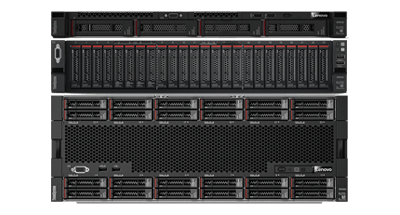 Lenovo ThinkAgile CP can offer the benefits of the private cloud with much less time and effort, freeing up resources to tackle your organization’s critical goals. 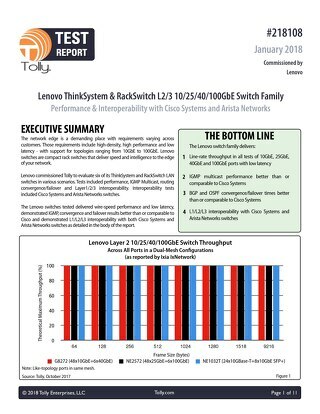 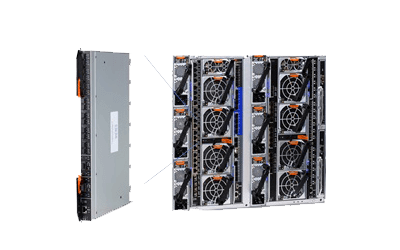 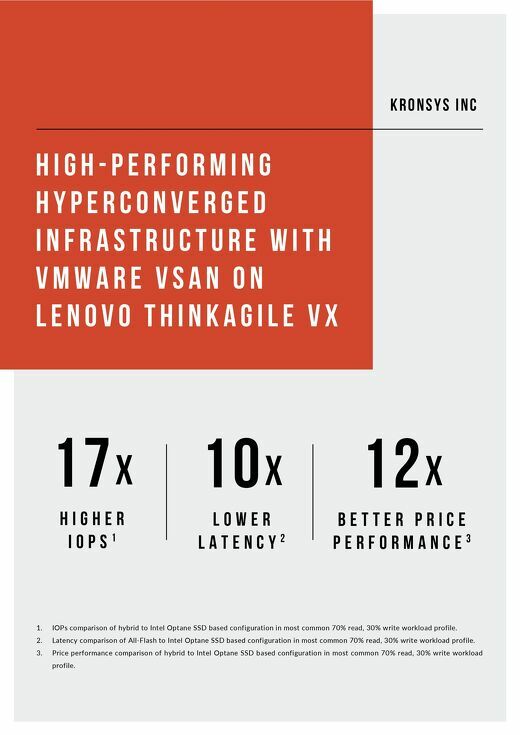 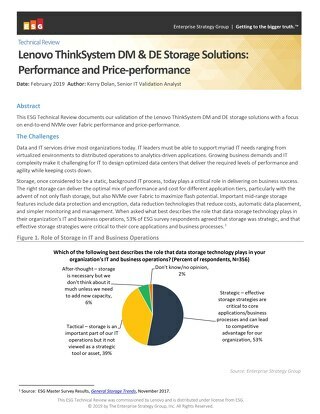 This Technical Review from ESG documents their validation of the Lenovo ThinkSystem DM and DE storage solutions with a focus on end-to-end NVMe over Fabric performance and price-performance. 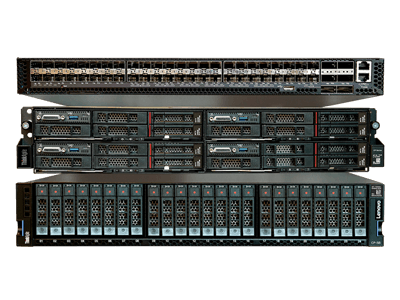 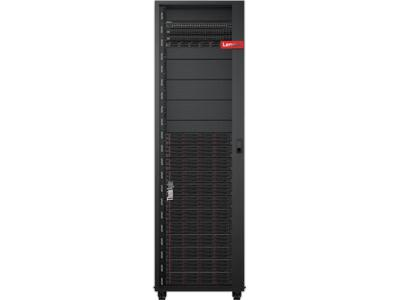 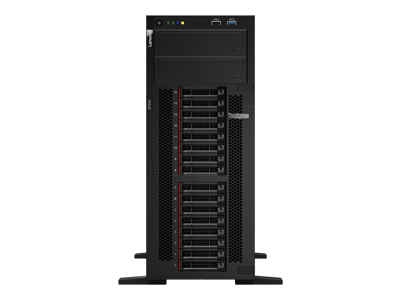 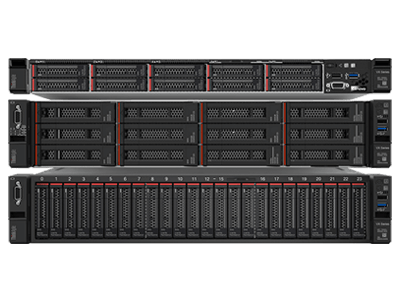 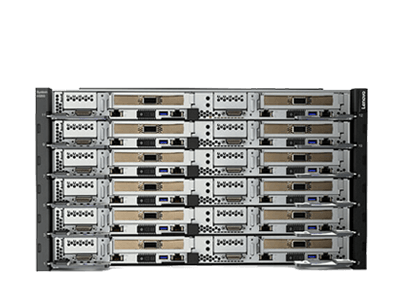 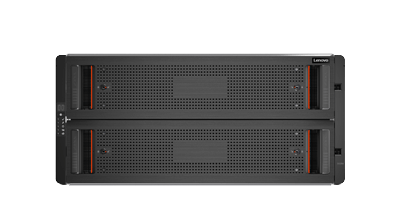 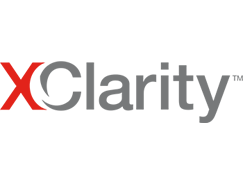 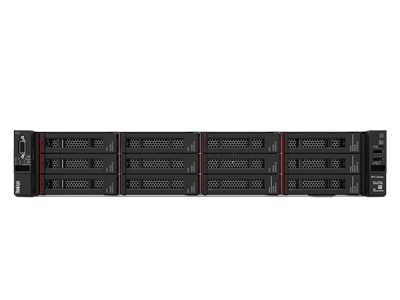 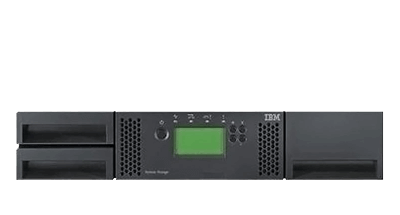 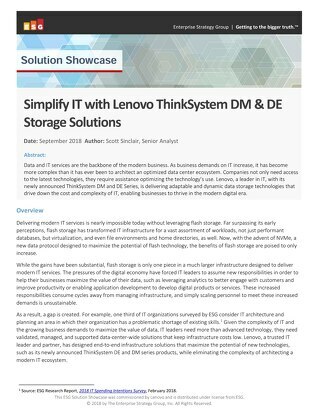 ThinkSystem DM and DE Series extend Lenovo's portfolio of storage systems, with all-flash storage for enterprise applications and hybrid options for low-cost or secondary data. 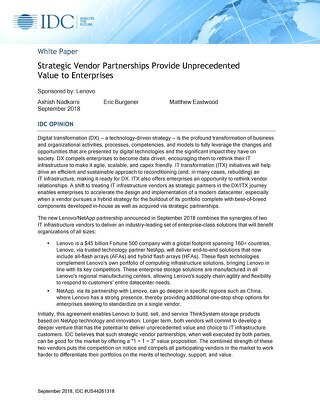 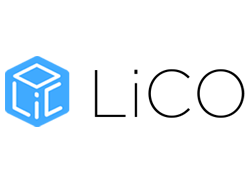 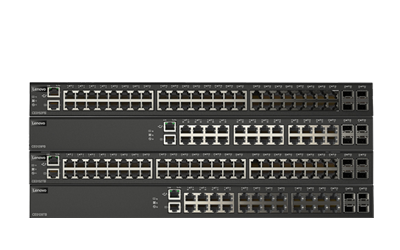 IDC explores how the new Lenovo/NetApp partnership announced in September 2018 combines the synergies of two IT infrastructure vendors to deliver an industry-leading set of enterprise-class solutions. 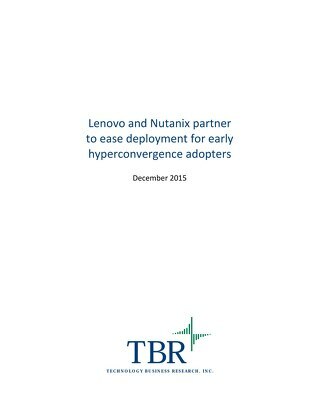 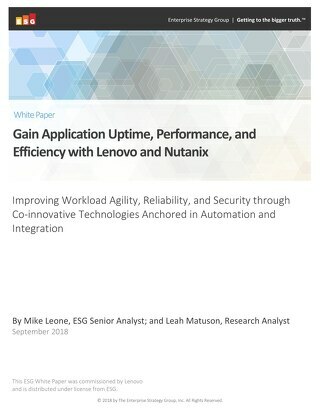 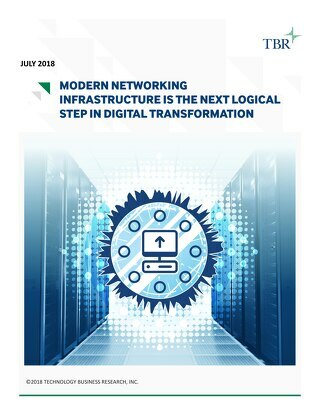 This white paper describes how Lenovo and Nutanix help improve workload agility, reliability, and security through co-innovative technologies anchored in automation and integration. 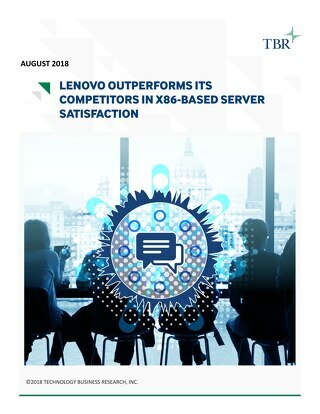 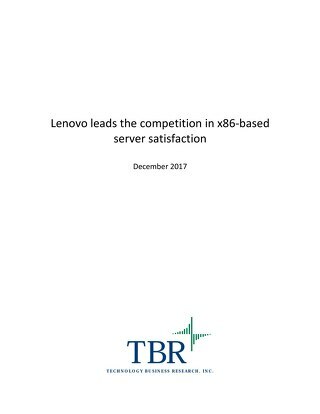 Lenovo's overall satisfaction score, which includes sales, product and service attributes, again surpassed scores for Dell EMC and HPE. 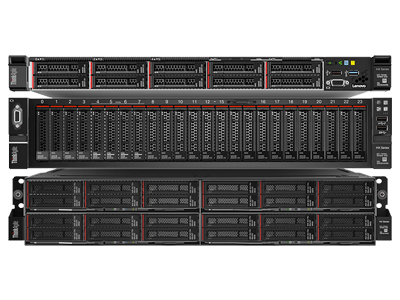 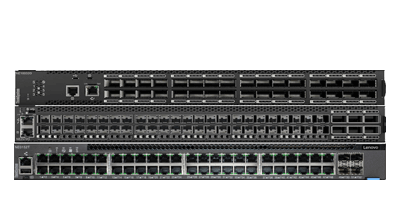 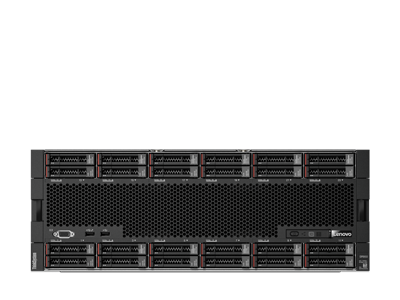 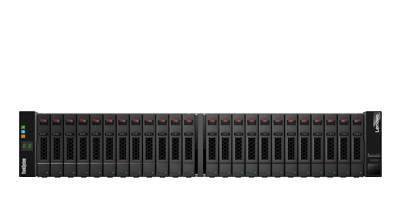 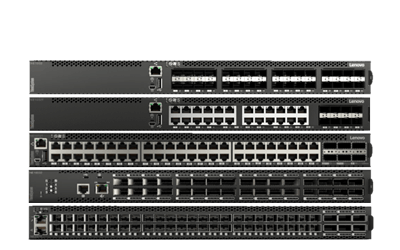 Lenovo x86 Servers Deliver Highest Uptime/Reliability among all Intel x86-based Systems. 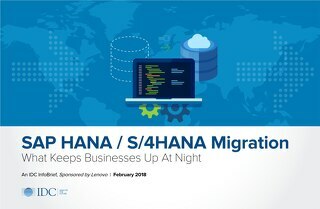 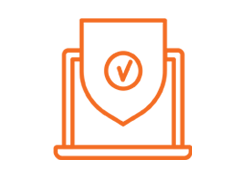 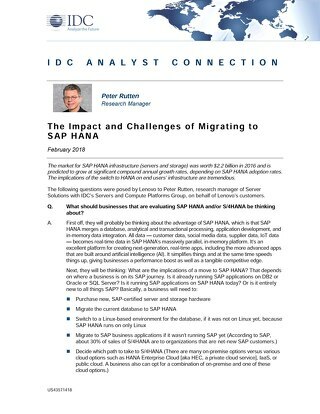 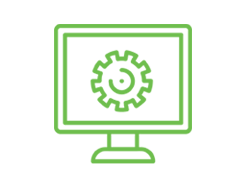 The market for SAP HANA infrastructure (servers and storage) was worth $2.2 billion in 2016 and is predicted to grow at significant compound annual growth rates, depending on SAP HANA adoption rates. 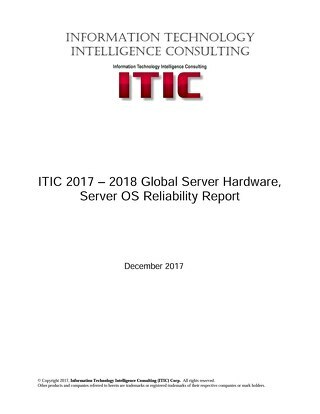 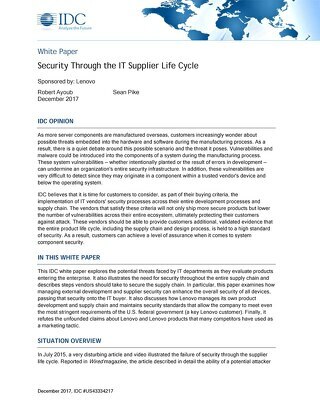 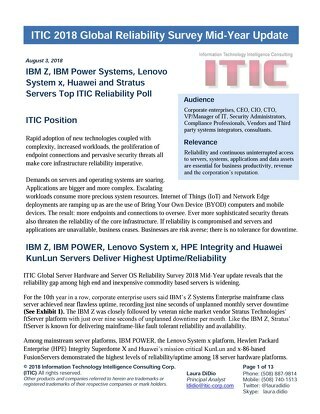 IDC explores the potential threats faced by IT departments and concludes that organizations concerned about security should seriously consider Lenovo as a trusted supplier. 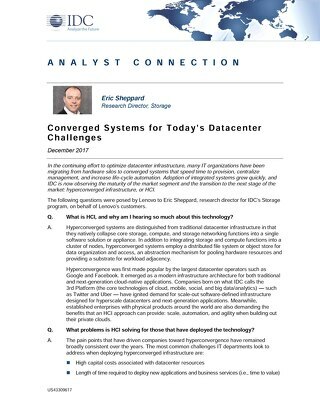 IDC explores the transition from integrated systems to the next stage of the market: hyperconverged infrastructure, or HCI.